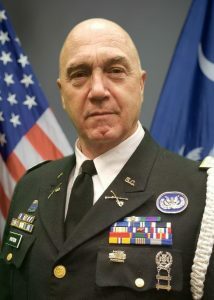 LTC Richard Patton joined the South Carolina State Guard in December 2014. Having previously served in the Royal Navy since 1974, he retired at the Rank of Lieutenant in 2007. During his career as a Medic he saw active service during Operation Corporate in 1982 (Falkland Islands), Operation Provide Comfort (Northern Turkey and Iraq) in 1990 and in the Former Yugoslavia in 1993 with the United Nations. During his career path as a medic he served on numerous warships, HMS Antrim in 1976, HMS Intrepid in 1989 and HMS Fearless in 1999. He also served as a Medic with 846 Naval Air Commando Squadron and the Commando Helicopter Operations Support Cell. This latter unit was based out of Norway approximately six months of the year. Having qualified as a Registered Operating Department Practitioner (Surgical Technologist), together with his Military Medical Emergency Skills, these were utilized while serving for two years with the Combined Services Special Medical Team in support of Special Forces Operations. Following his selection for a Commission in 1999 he attended Britannia Royal Naval College in May 2000. Following graduation, his first appointment was as the Officer in Charge of ODP Training at the Royal Defense Medical College. This later relocated to the University of Birmingham City and became the Defense School of Healthcare Studies. Since leaving the Royal Navy in 2007, he emigrated to the USA and now lives in Woodruff, South Carolina with his wife Tracie and two children Abby and Miller. 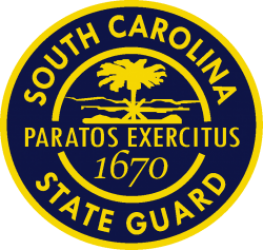 Since joining the South Carolina State Guard, this is his second commanding role, his first was in command of the Highland Brigade’s 1st Battalion. During this previous tenure, he has been involved in the humanitarian relief efforts in 2015 during the ‘1000 year’ flood where he was awarded the Humanitarian Service Ribbon for his service. He was also called to duty for Hurricane Matthew in 2016, Hurricane Irma in 2017 and the recent NDMS mission in September 2017.